A scene from Heather Young's short film Milk. Young's feature Murmur is one of the region's funding recipients. Three Nova Scotia production teams have been awarded funding for their debut feature films in Telefilm's annual Talent to Watch program. Heather Young, whose short Milk premiered at TIFF and is still ripping up the festival circuit, and producer Martha Cooley will make Murmur. Taylor Olson will direct an adaptation of Catherine Banks' play Bone Cage with Melani Wood producing, and Koumbie (director) and Amy Trefry will produce CareCroft. Each project will receive between $105,000 and $125,000. 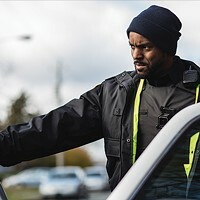 This is the program's first year known as Talent to Watch—under the previous moniker, the Micro-Budget Production Program, recipients have included Ashley McKenzie's Werewolf, Cory Bowles' Black Cop, Stephanie Clattenburg's Play Your Gender and Bretten Hannam's North Mountain. Telefilm increased its production support from 15 to 45 projects nationwide. 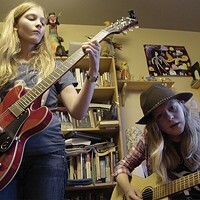 Looking at sexism in the music studio, this local documentary lays bare some harsh realities. The writer/director didn’t compromise on her refreshing film. Bretten Hannam’s first feature film is breaking trail.